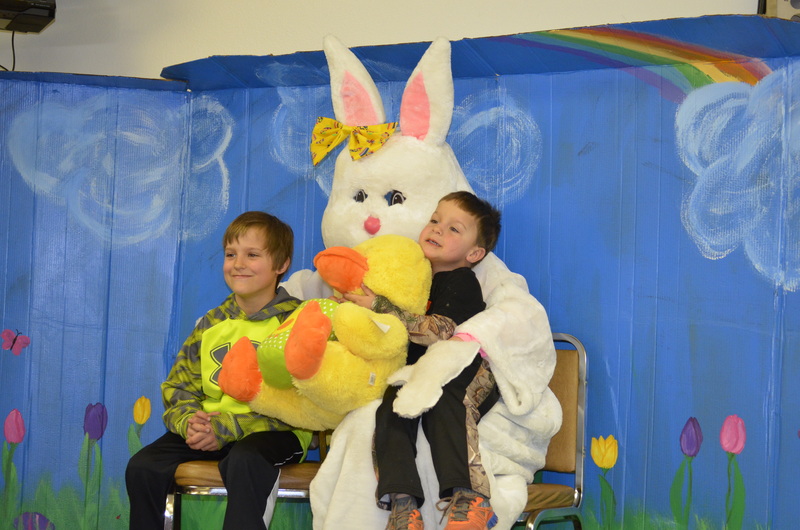 Awesome Easter Event in Anamoose! 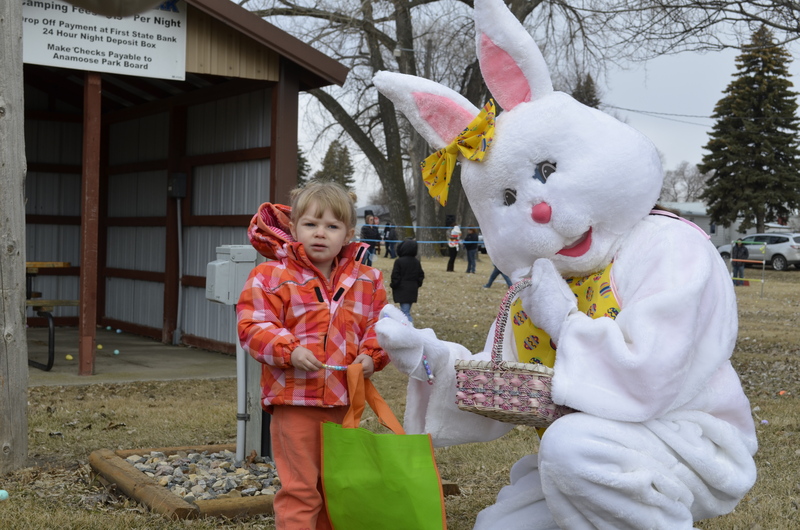 Saturday, March 28th, the Anamoose Park Board did an awesome job bringing this Easter Egg Hunt event to town. 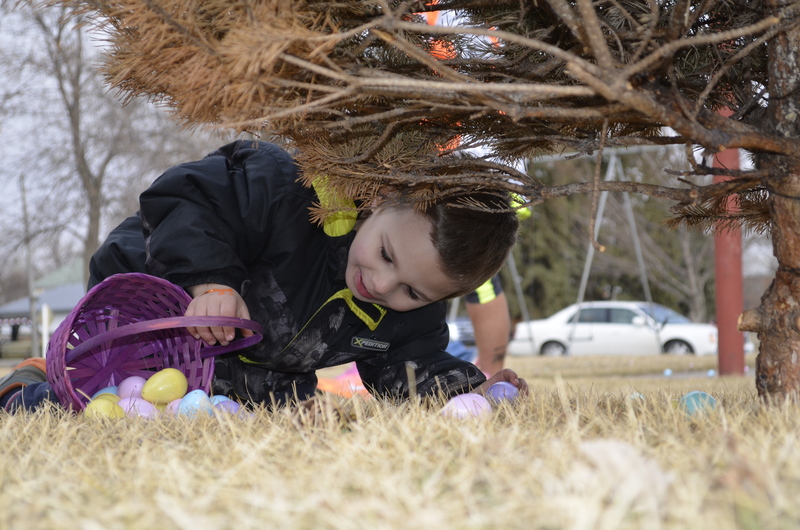 The Park was filled with excited, smiling boys and girls of all ages ready to greet the Bunny and hunt for some special eggs filled with goodies! 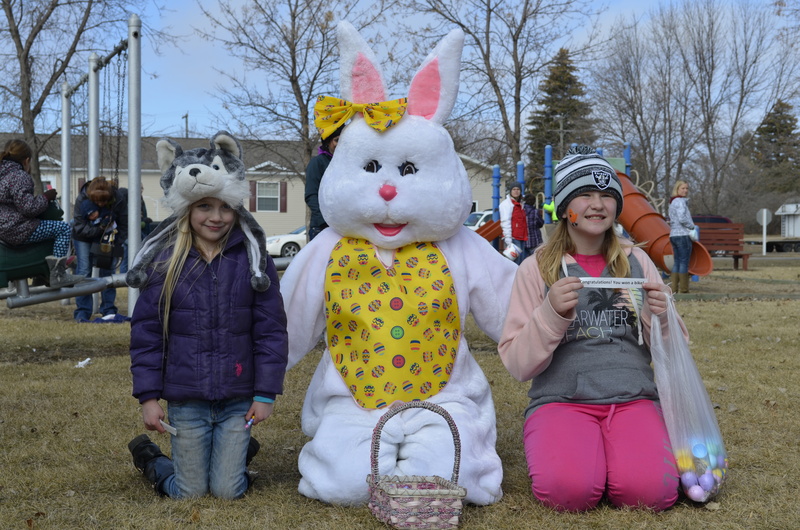 The Easter Bunny arrived escorted by the Anamoose Fire Department and greeted kids with waves and a very big smile. The kids had an opportunity to get up close and personal with the firefighters and the equipment. How exciting for them to sit at the steering wheel and blow the siren! 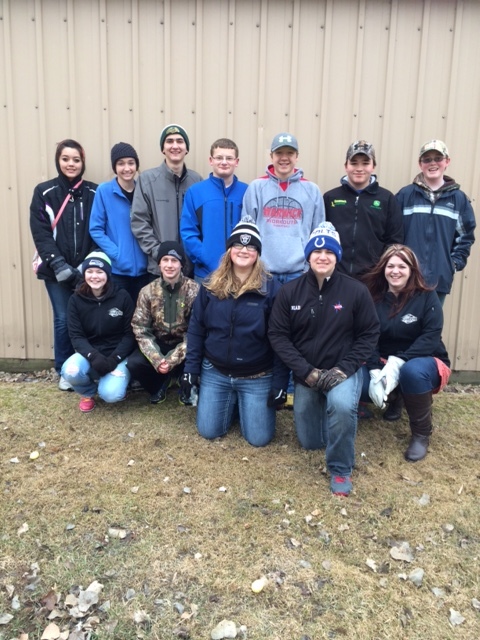 The SADD Members, supervised by Kim Meckle, from Anamoose-Drake High School assisted in all the activities of the day in the Park and at the VFW. Members present were: Elizabeth Rotherham, Kailey Lemer, Lee Reinowski, Colton Martin, Pete Buri, Tyler Duchsherer, Jackson Rudnick; Hannah Lemer, Austin Schatz, Kenzie Volochenko, Levi LemerThey were great with the kids, but doing so much more. They all stepped in where needed setting up, cleaning up and keeping the excitement of the event going. Great job SADD! 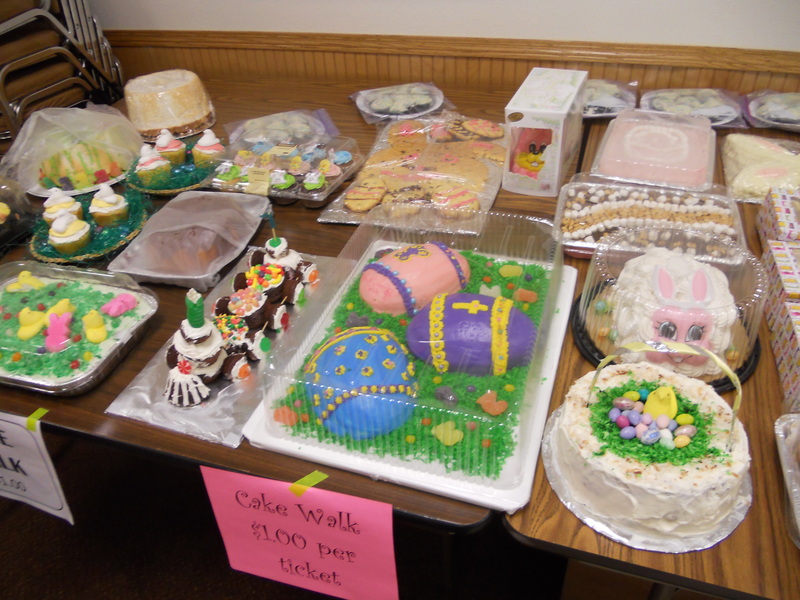 A tasty lunch was served at the VFW Hall followed by cake walks, raffles, more dancing, visits with the Bunny and so much fun was had by all. Shania Martin from Anamoose and Jade Uhlich from Drake both found the eggs that contained the bike tickets and both took shiny new bikes home. No one was actually counting heads, but an educated estimate was there were about 200 + people having fun in the Park and at the VFW for the indoor activities. There are rumors that the event could become annual! 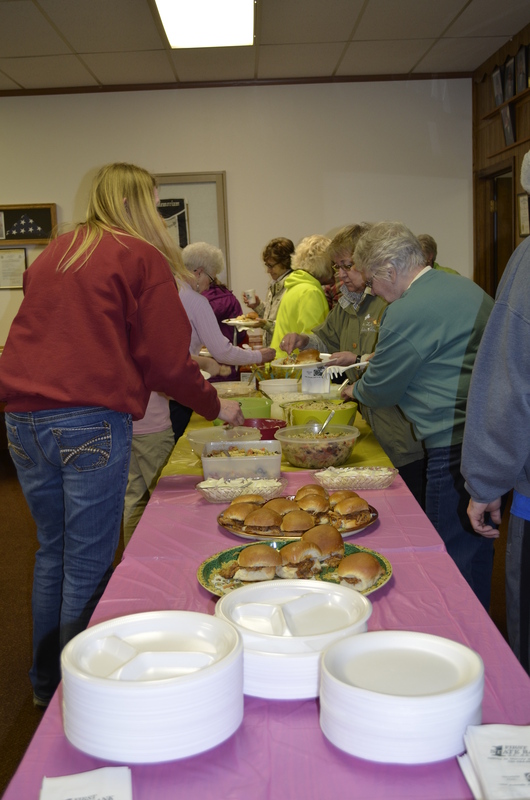 Everyone liked the idea of looking forward to another spring event in the Park! It was great fun and the Park Board did a great job in putting this fun for the community together and raising funds for the playground equipment at the same time. 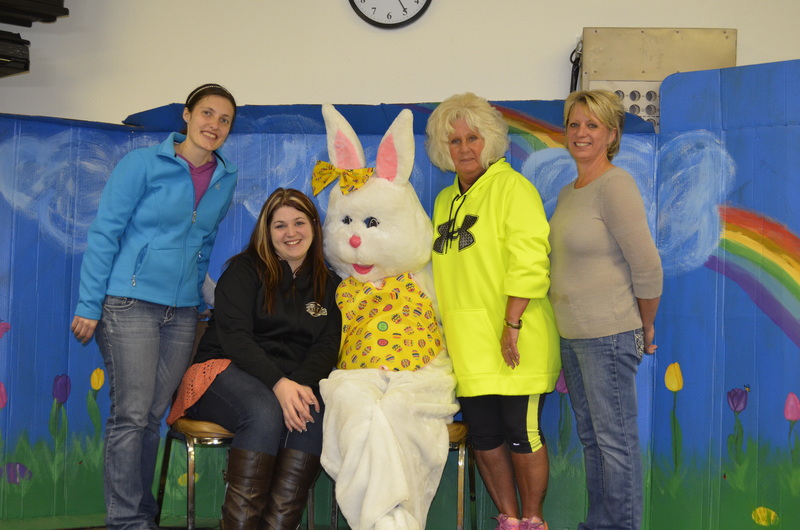 The Bunny took time to pose with the Park Board members present: Karissa Gahner, Kim Meckle, Lori Schmaltz and Torrie Dosch. 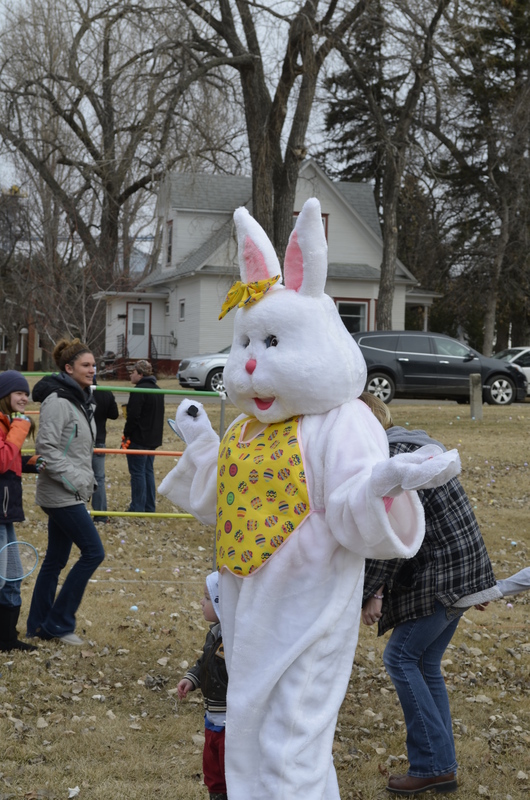 3 Responses to Awesome Easter Event in Anamoose! How is it that your community gets SO MUCH going and all that fun in one place? I’m in awe. Thanks, Alyce, for reporting! Glad you like the article, but I didn’t write it-Jacque Reis did. She does a great job.